Every woman’s personality and circumstances are unique, but we can all relate to how it feels when we dare ourselves to cross a personal divide, enter unknown terrain, take a chance, shift perspective, face a fear, or stretch a little. Liberating ourselves from long-established routines, behaviors, expectations, or fears, can be very empowering, and in some cases, it can bring us a healthy dose of levity and laughter. Our story contributors range from well-known women like Gloria Steinem, all the way to one woman who remains “Alcoholic Anonymous”. The personal is universal, and the universal personal. Every affirming action reverberates into the world and bolsters others in its wake. Do you have a personal story that you’d like to submit to Dare to be Fabulous for consideration? Your story submissions are welcomed. Please check the submission guidelines for more information. Subscribe to receive occasional Dare to be Fabulous blog posts, stories, and updates! Johanna McCloy lived in Spain, India, Japan, and Venezuela, before attending Duke University and receiving her B.A. in Comparative Area Studies and Anthropology. 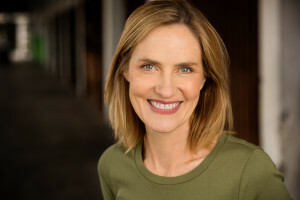 She is a freelance writer and editor, a SAG-AFTRA actor with starring and guest starring roles in TV and film, and the co-founder of VeggieHappy. Johanna is also the editor of Six Car Lengths Behind an Elephant: Undercover & Overwhelmed as a CIA Wife and Mother by Lillian McCloy. This memoir was published in 2016 and has received endorsements from John le Carré, Pico Iyer, and other authors.